My favorite picture of me and my little girl. 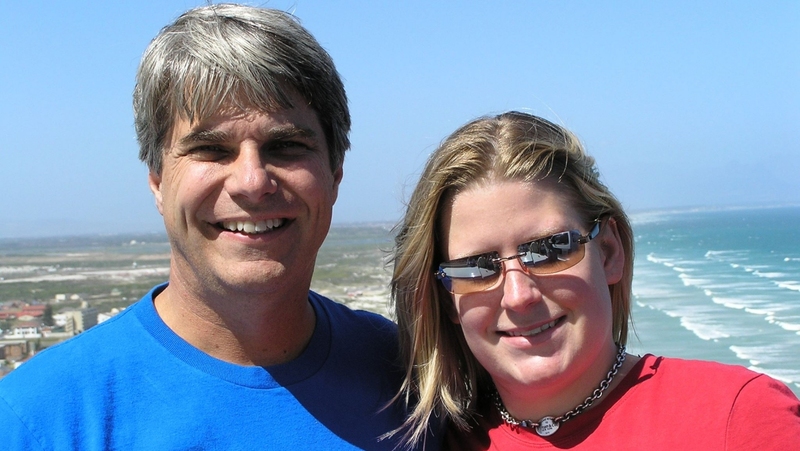 It was taken in Capetown, South Africa in 2004, when we were on a homeschooling speaking tour. My little girl turns 40 this month. I am not sure how to take that. In my mind, she is still that 16-year-old girl who loved Dan Marino, computer games, and ice cream cake. Where in the world did the time go? As I think about all the wonderful (and not-so-wonderful) times we have experienced together, I see a lot of mistakes that I made in parenting her. There are definitely things I would do differently if I could turn back the clock to the day we adopted her. However, the one thing I know I would not change is our decision to homeschool her. We started homeschooling her as soon as we could, and the reason was simple: she was the classic example of a student who “fell through the cracks.” When she was having a good day, she learned well. When she wasn’t having a good day, she didn’t. As a result, there were large, gaping holes in her education. Not surprisingly, then, when she took the PSAT test, she scored in the bottom 35% of the nation in math and the top 25% of the nation in English. She wanted to get a college degree, because as far as she knew, no one in her biological heritage had one. Getting a degree would provide a tangible break from her past. However, with those scores, she would have a difficult time getting accepted to college, much less succeeding when she got there. As a result, we spent most of her homeschooling in “educational triage.” We identified the holes in her education and then filled them. When she took the ACT (one of the standardized tests used for college entrance) early in her senior year, she scored in the top 5% in English and the top 30% in math. As a scientist, I decided that the numbers were the ultimate evidence that the decision to homeschool her was a good one. She ended up being accepted at Butler University and graduating with a degree in sociology (which, of course, she doesn’t use). Why do I have a daughter who loves to spend time with me and her mother? If you ask her, it’s because we spent so much time together when she was young. In these days when children are separated from their parents by school, after-school activities, and other distractions, it’s hard to form a deep family bond. When you homeschool, you are not only using the best possible educational model to teach your child, but you are also doing something very few families do: you are spending a lot of time together. In the long run, that makes a huge difference! Does that mean everyone who homeschools will have a great relationship with their adult children? Of course not! There are many, many factors that play into how people bond with one another. However, probably the most crucial of those factors is time that you spend together. The more time you spend with your children, the better you get to know them. Looking back on my homeschooling my little girl, I recognize that she got an incredible education. More importantly, however, we all got an amazing gift: lots of time to enjoy one another and grow closer together. Of all the wonderful things I can say about homeschooling, that is the most important. I love this story. I was also adopted (as a baby, though) and am close in age to your daughter. How beautiful it is to see what God has done in your lives! Very cool! It’s crazy that such an improvement in test scores could be made in such a short time… and relatively late in her scholastic career. Yes, where is the “Love” button? We are seeing some of the same traits you mentioned in our adult son, and it is different than my friends with adult children who were schooled traditionally. Homeschooling is about the academics, but so much more! And, how can your daughter be 40?? Could I ask you how and what curriculum you used to help her fill in the gaps? I have 3 children, we have always homeschooled. We have always used Abeka videos. I have 1 that has excelled and 2 not so much. My daughter has had migraines since she was two years old. When she feels well she learns fast and does well in school, however the frequency of the headaches has increased dramatically over the past few years and it has really began affecting her school work. I’ve tried just sticking with a curriculum as well as changing some things up. I can’t really say I can tell any difference and I think it’s mainly that she’s just discouraged that she feels so far behind. So I was just curious how you went about “filling in the gaps”. I didn’t really use a curriculum to fill in the gaps, Kay. I had my daughter take a practice SAT test just so I could see where she was on the basics of vocabulary, grammar, and math. For any question she missed (there were a lot of them), I had her explain her reasoning to me. That allowed me to see what she was missing. For example, one algebra problem she got wrong involved an equation like (A-B) divided by (C+D). She told me that she divided A by C and -B by D. That told me she did not understand what terms were in a mathematical equation, so I pulled out my old math books and taught her about terms in mathematical equations and how to handle them. I also found that while my daughter didn’t like textbooks, she loved finding out things on her own, so I designed many of her courses to involve research. For example, in history, we did a timeline of events, and when she didn’t know what an event was, she researched it and wrote a report for me. For government, I had her find a copy of the U.S. Constitution and over the course of a couple of months, she paraphrased it in her own words. Great post! I am currently a homeschool high school student and have grown up using your Apologia curriculum. I am currently doing Chemistry and have really been enjoying it! Thanks so much for all that you do. God bless you and your family, Dr. Jay. You all are almost like family! And happy birth-month to your daughter! Generally you are correct. However, I am glad you added this caveat. 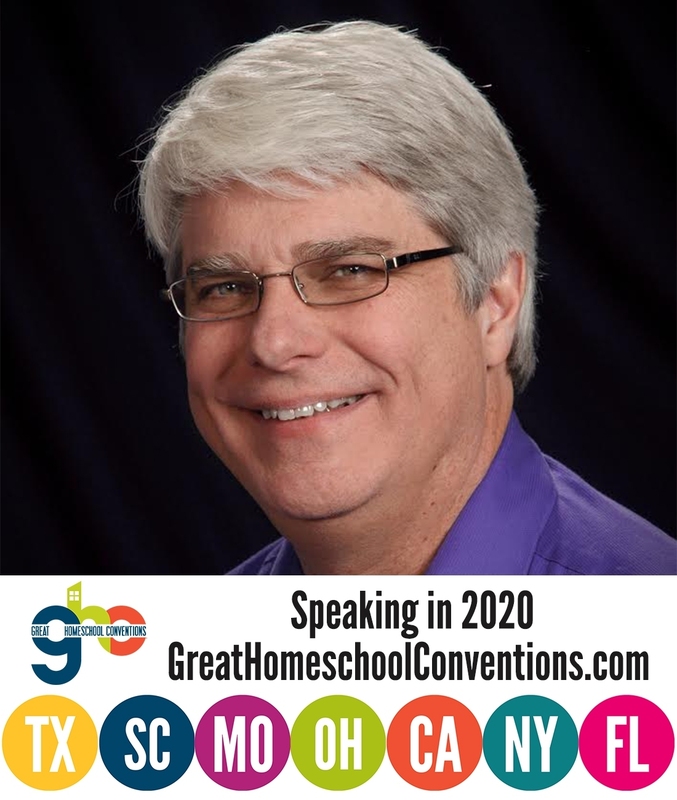 “Does that mean everyone who homeschools will have a great relationship with their adult children? Of course not! “. In our situation and several others I know, it is not the case. Jay, I read the background behind your daughter and I must admit that is shocking, and I thank God that there are good people in the world yet. Now, if you don’t understand some twisted aspects of some laws, I might not be exaggerating that you would collapse if you were a Brazilian citizen(a good one, I must add). Or perhaps you wouldn’t; after all, you would be used to live at a twisted country. God continue to Enlighten you and your family! VIctor, if you could see some of the twisted aspects of our laws and our government here in the USA, it’s quite possible you might collapse as well. Brazil is not a perfect country by any means, and there are certainly some obvious imperfections, but the U.S. is also imperfect with it’s fair share of corruption and crime; believe me, the U.S. is plenty twisted! I got married in Brazil (to a Brazilian) and have lived in Brazil for over a year, I’m currently outside of Brazil, but soon I will be returning and I’m very much looking forward to making a life there for my family. I love the country, I love the people, the food and the language, and as an American citizen, a resident of planet earth, and a citizen of heaven, I’m very proud to call Brazil home! Dr. Nathan T. Brewer: Homeschool Graduate and Nuclear Physicist A Cure For Cancer? Probably Not!